Erasmus University Rotterdam is an international knowledge workshop for critical thinking and academic training, driven by a strong focus on current social issues. The university concentrates its expertise on issues of management, organisation and policy in the public and private sectors on the one hand, as well as on the field of sickness and health care. The university counts as its core tasks: to generate knowledge from research, to share knowledge in education and to transfer knowledge to the community. Its driving forces are academic curiosity, critical reflection and social engagement. Erasmus University Rotterdam has been in existence in its present form since 1973. Its history, however, dates back to 1913, the year in which the Netherlands School of Commerce was founded through private initiative with broad support from the Rotterdam business community. The statutory recognition of higher education in commerce and economics as an academic discipline resulted in 1939 in a change of name. The NHH became the NEH or Netherlands School of Economics. 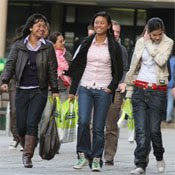 The growing complexity of society led in the 1960s to the arrival of the faculties of Law and Social Sciences, followed in later decades by Philosophy, History and Arts, and Business Administration. From 1950, the Foundation for Higher Clinical Education used its best efforts to get a full academic medical study programme established in Rotterdam, and with success. For in 1966 the government established the Medical Faculty Rotterdam, which was housed next to Dijkzigt Hospital. 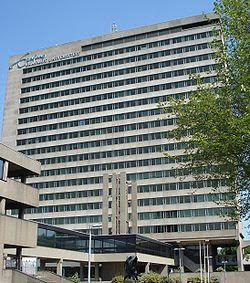 Together with the Sophia Children's Hospital and the Daniel den Hoed Clinic, it forms the University Hospital Rotterdam, which as of 1 January 2003 bears the name Erasmus MC. In 1973, the Medical Faculty Rotterdam and the Netherlands School of Economics merged to become Erasmus University Rotterdam – the first university in the Netherlands named for a person, a man to whom Rotterdam owes the reputation it has held for centuries in the academic world, Desiderius Erasmus. The Rotterdam School of Management is ranked by the Financial Times as the 7th best MBA programme in Europe and 29th in the World. The business school has achieved accreditation from the three international accrediting bodies of management education; AMBA, EQUIS, and AACSB. Only a handful of business schools in the world have acquired triple accreditation, although it should be noted that many schools have a policy of not applying for multiple accreditations.